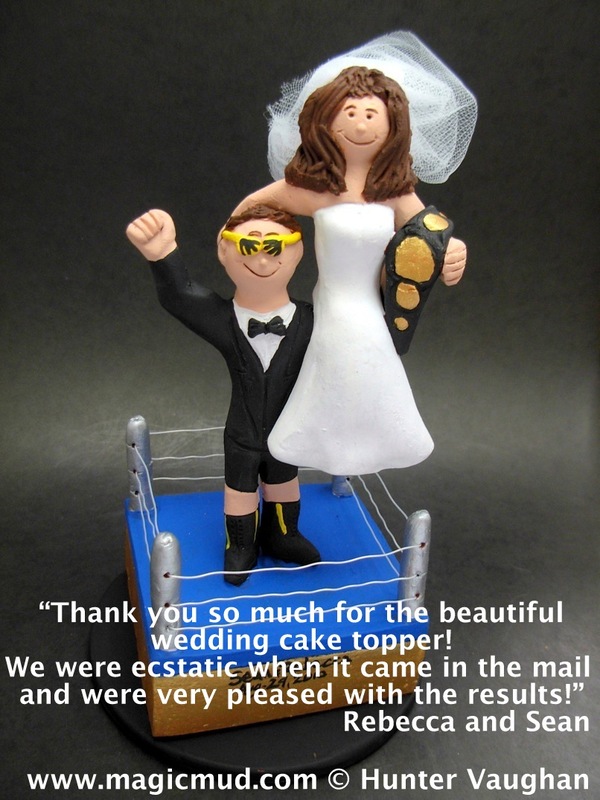 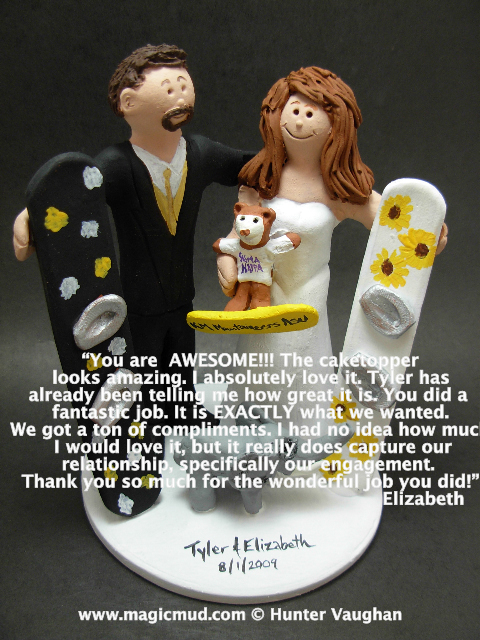 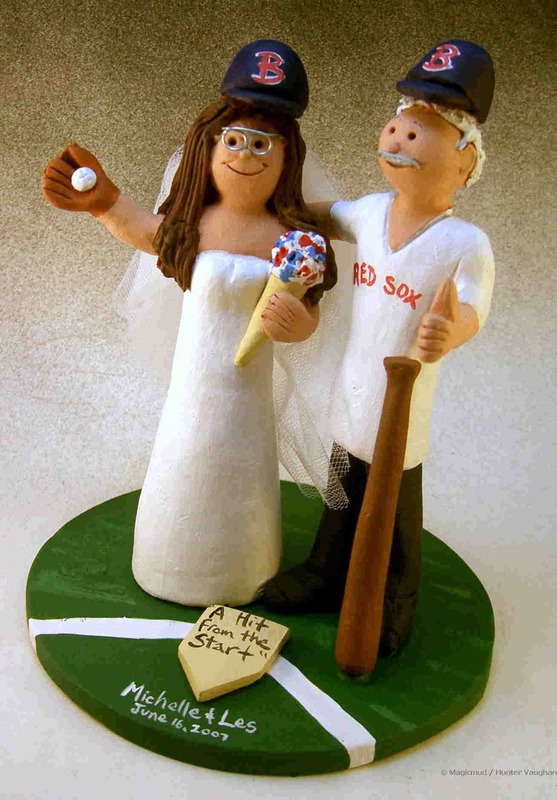 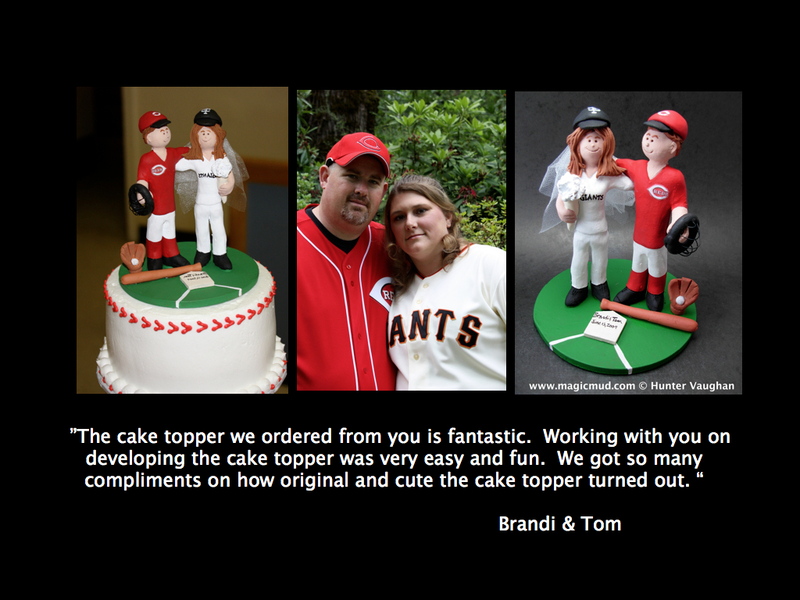 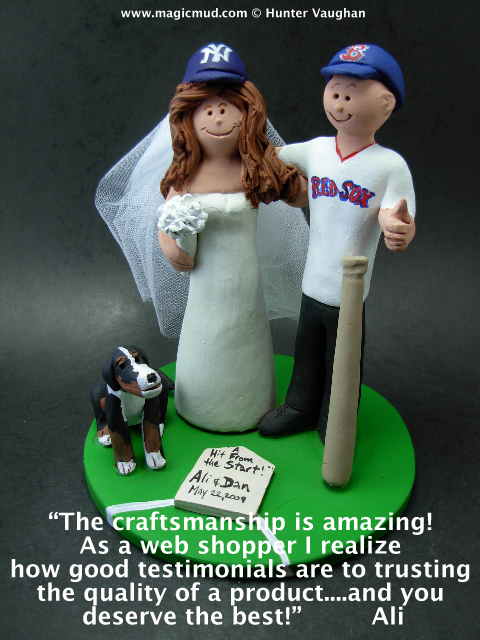 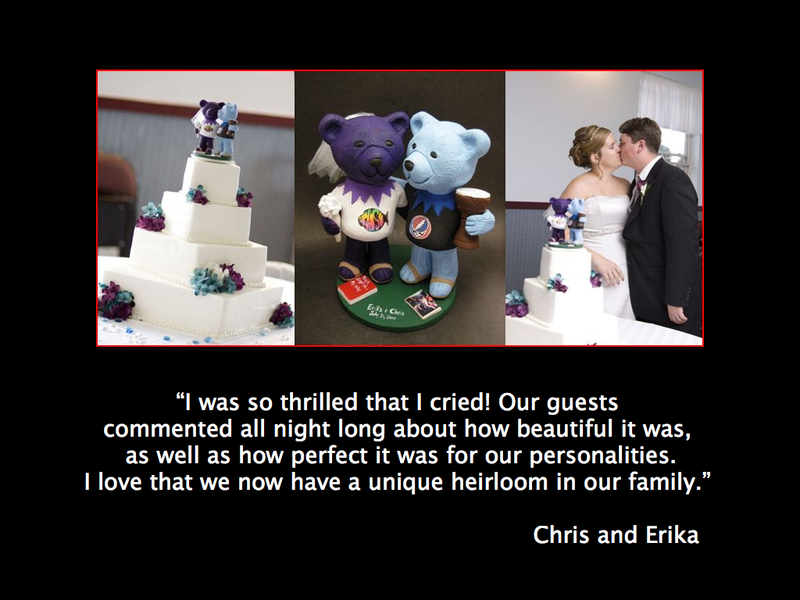 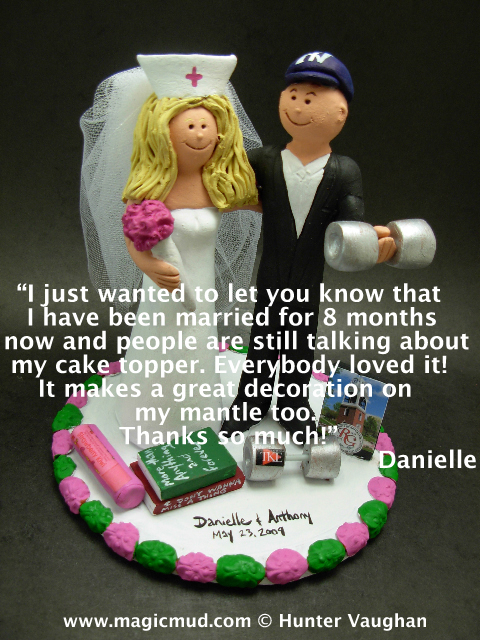 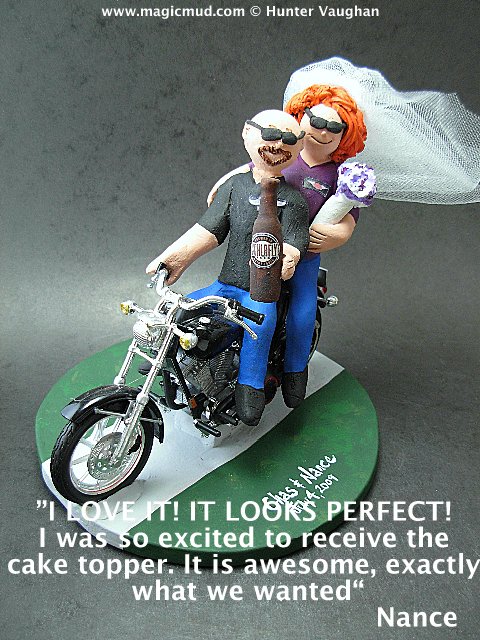 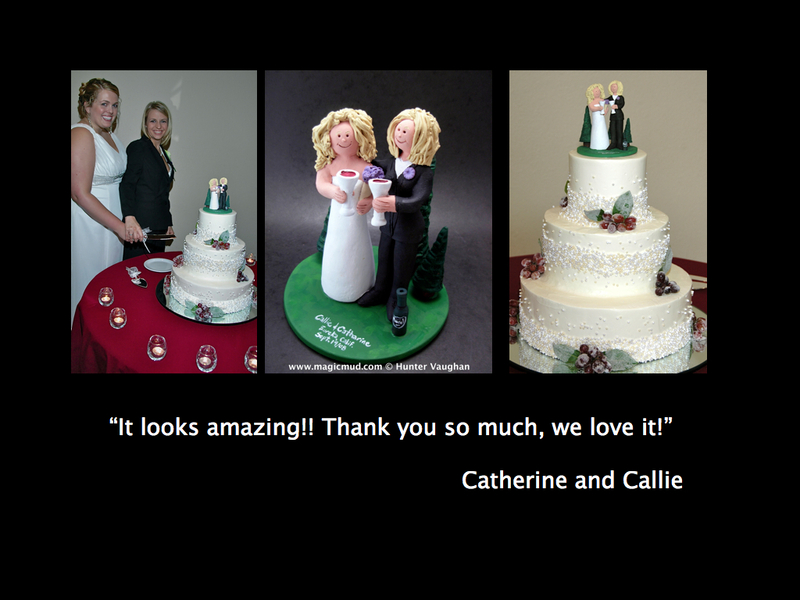 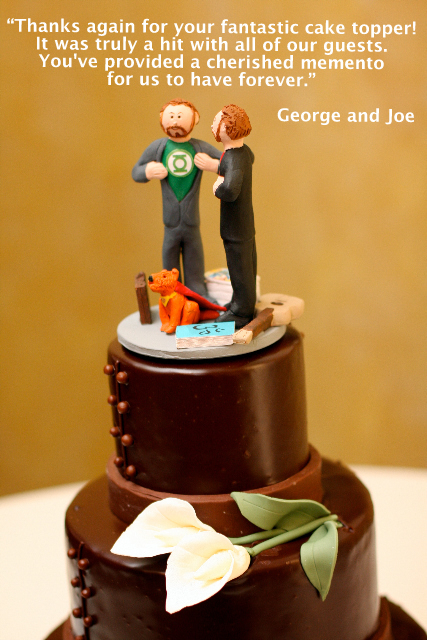 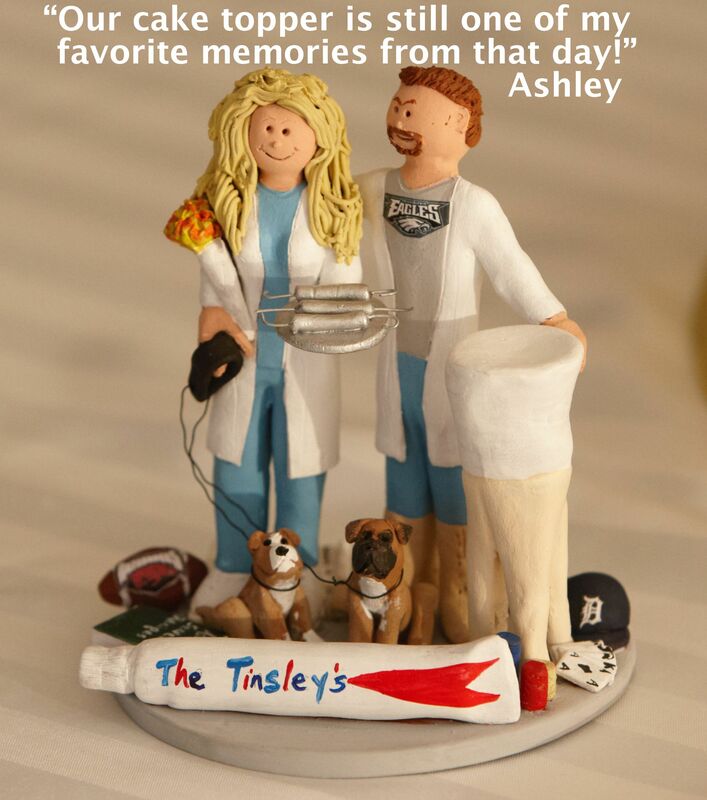 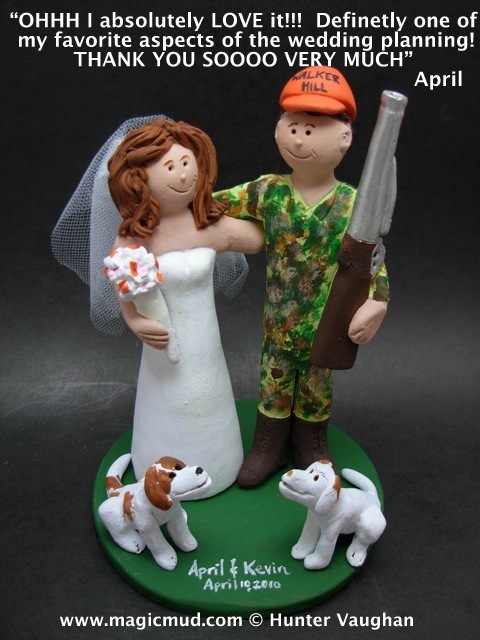 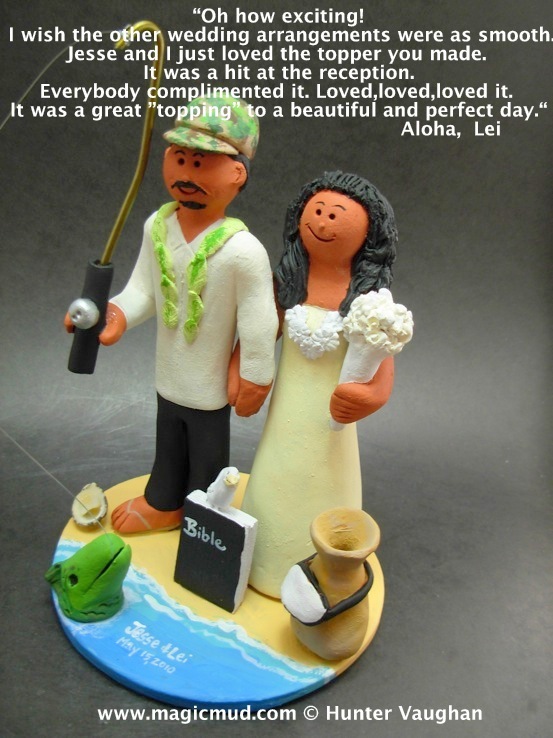 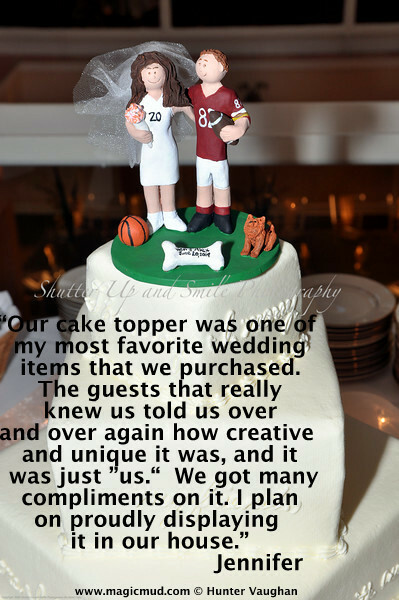 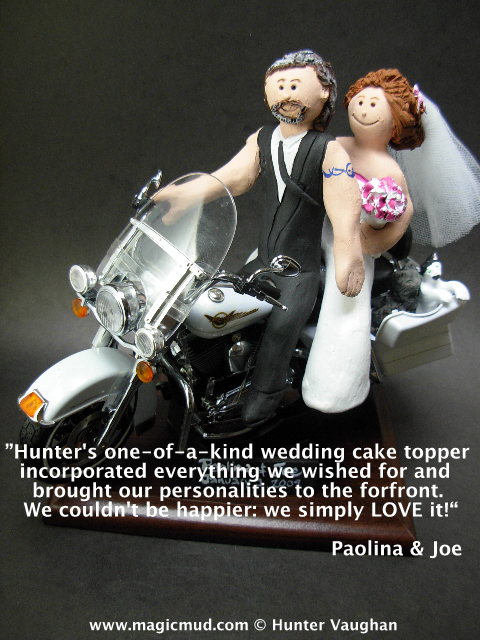 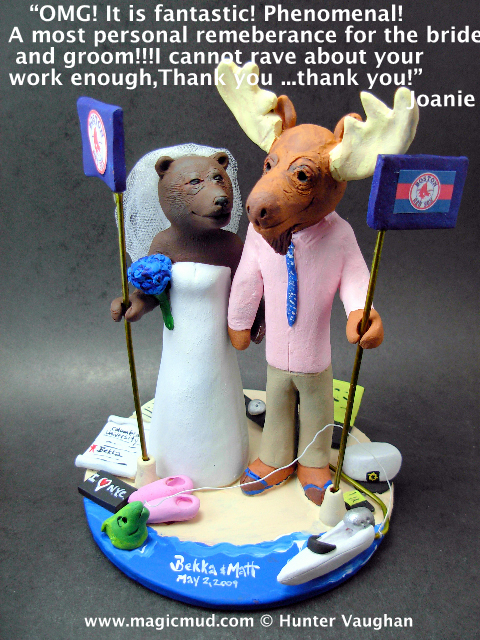 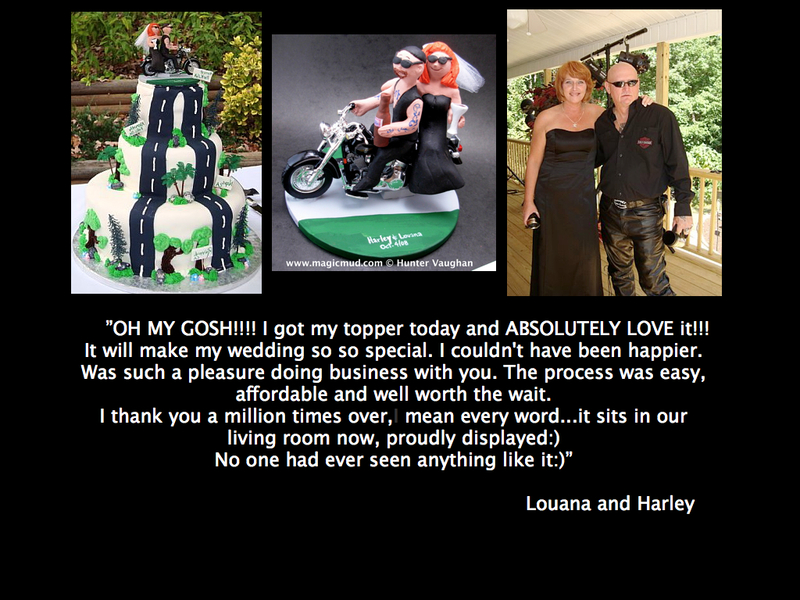 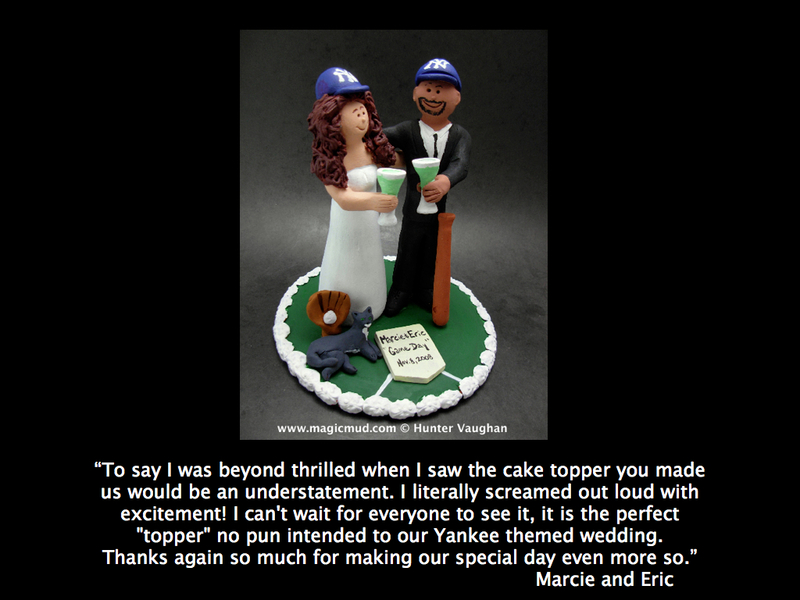 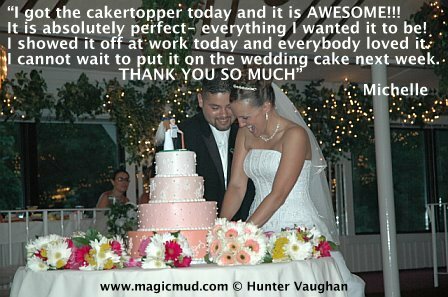 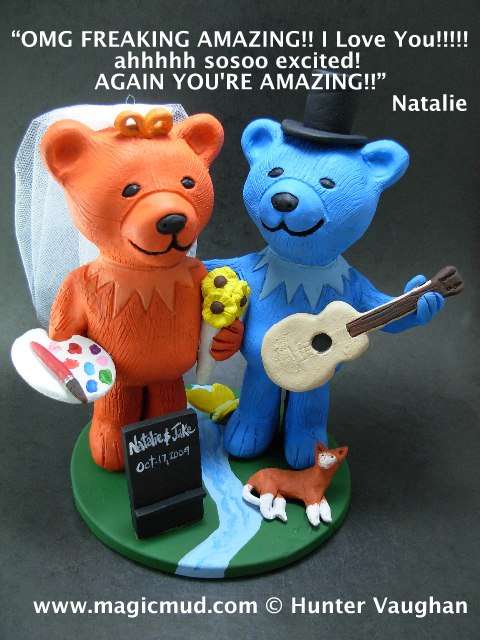 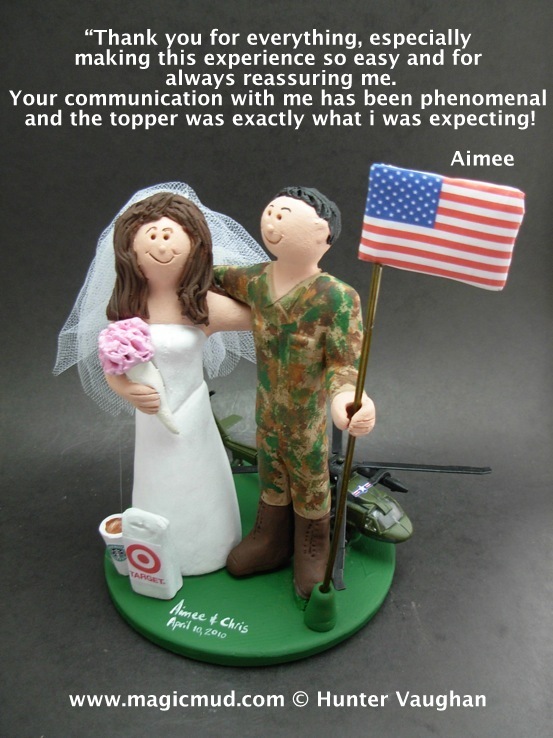 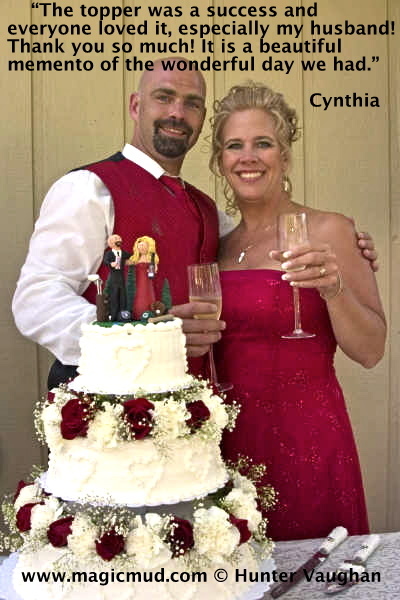 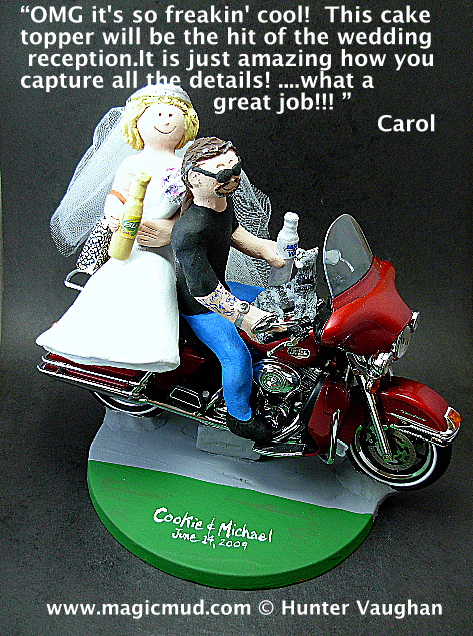 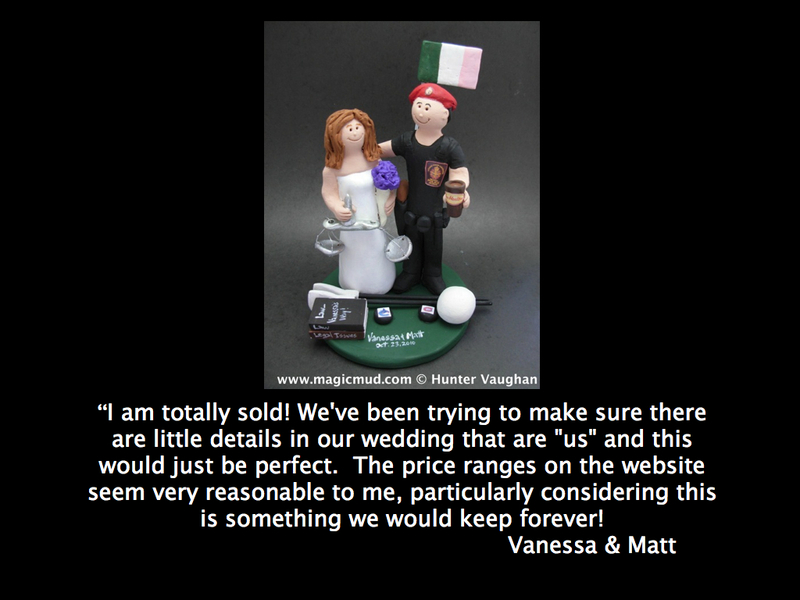 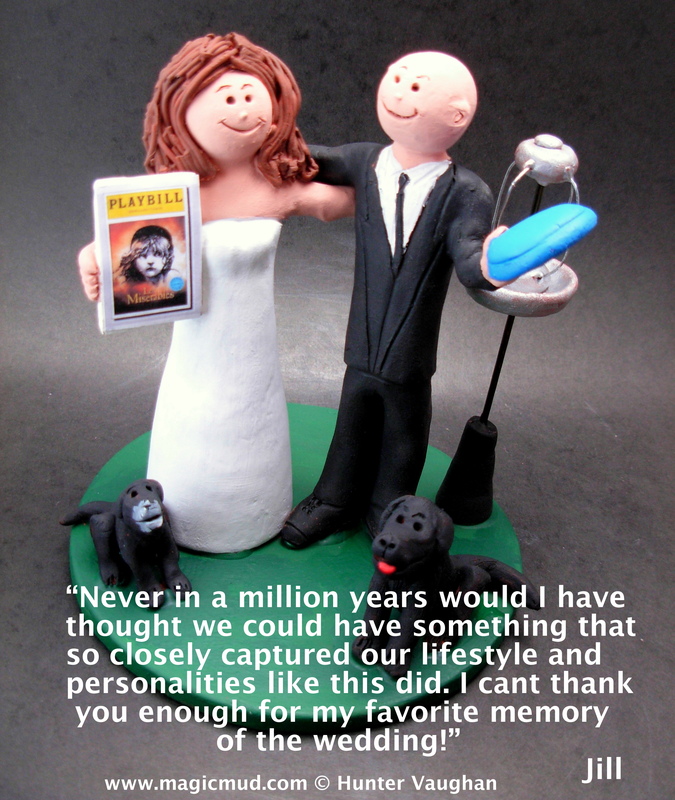 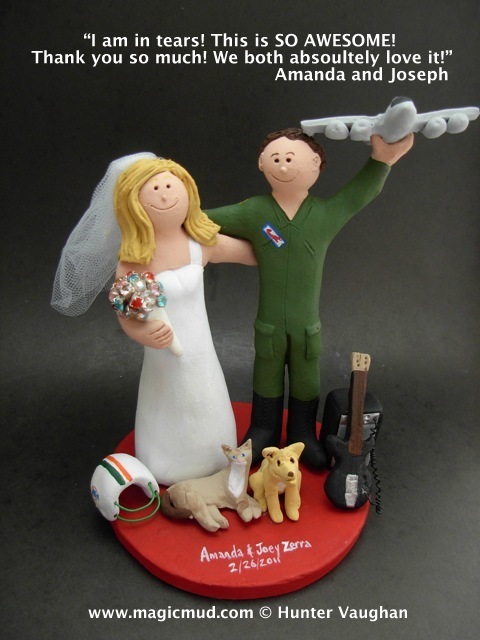 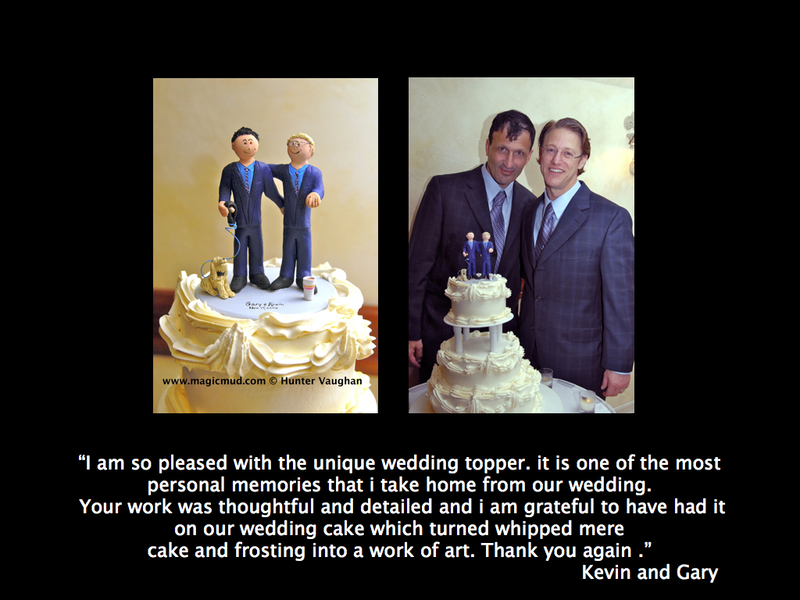 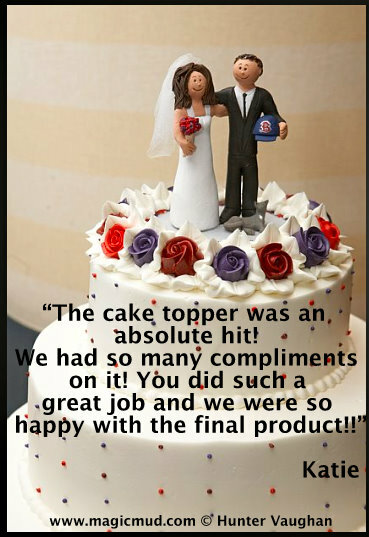 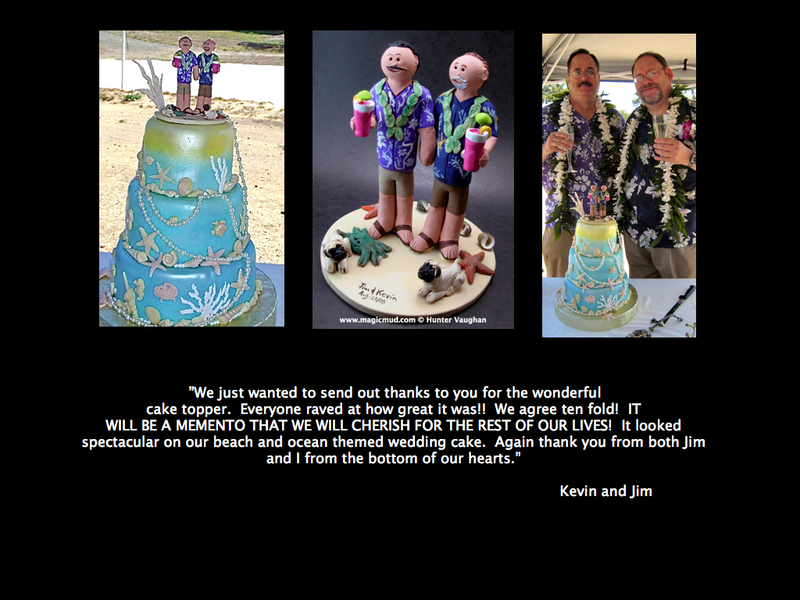 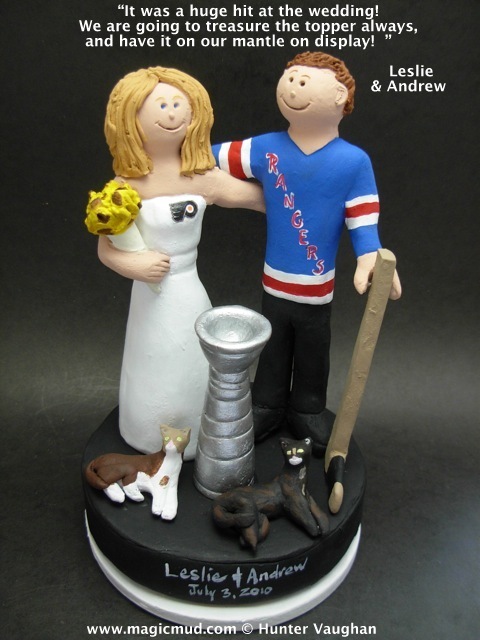 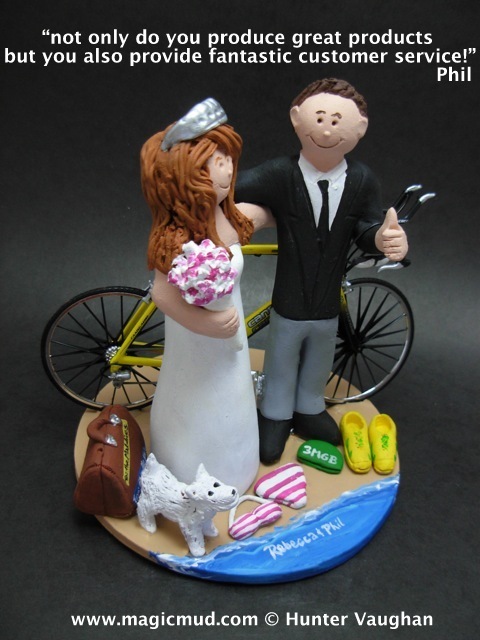 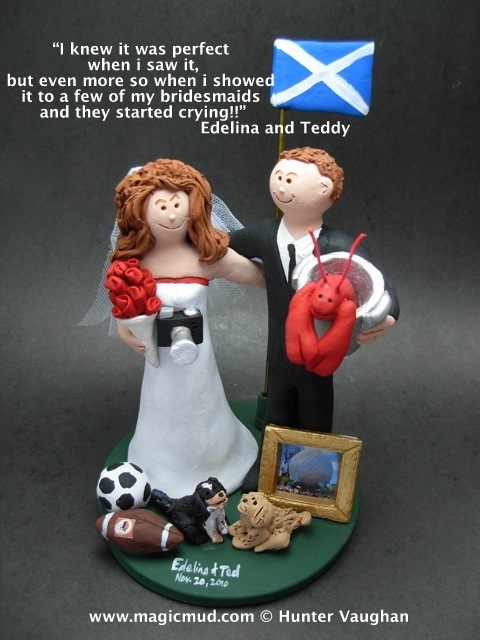 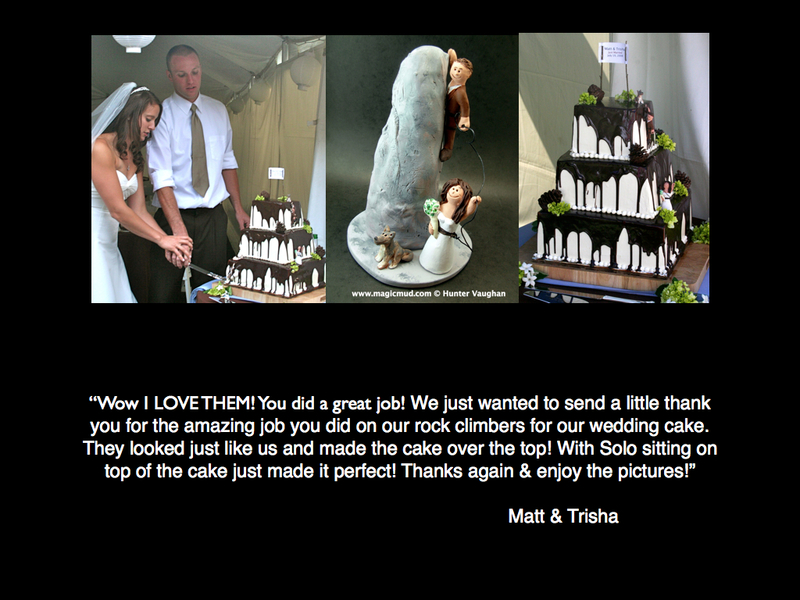 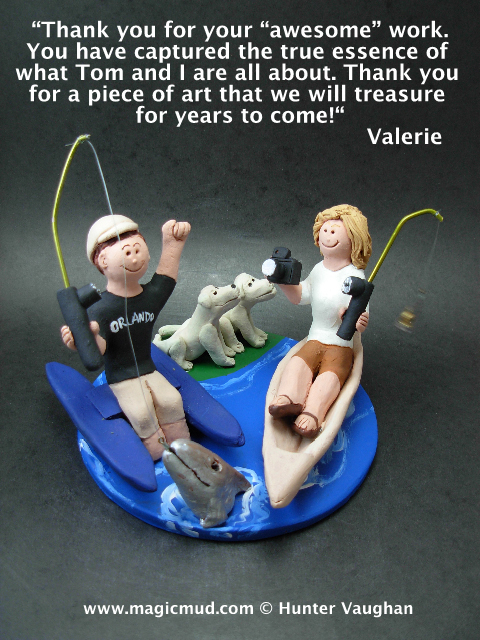 Below are pictures of some of our completed custom wedding cake toppers, alongside the couples and their cakes. 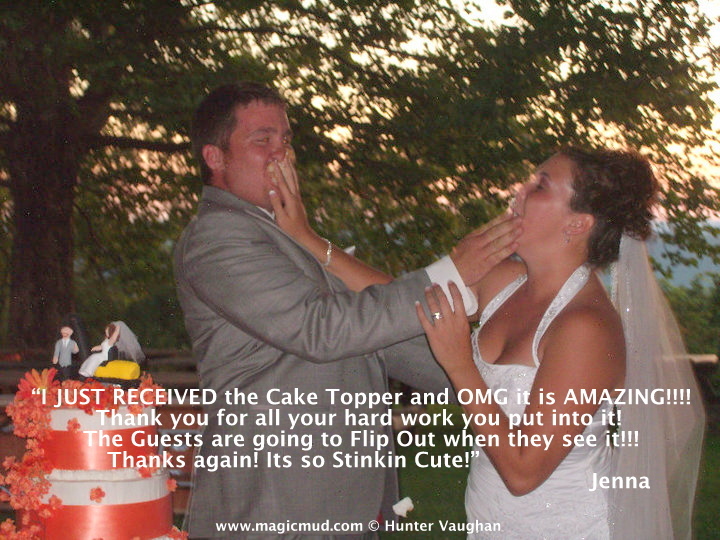 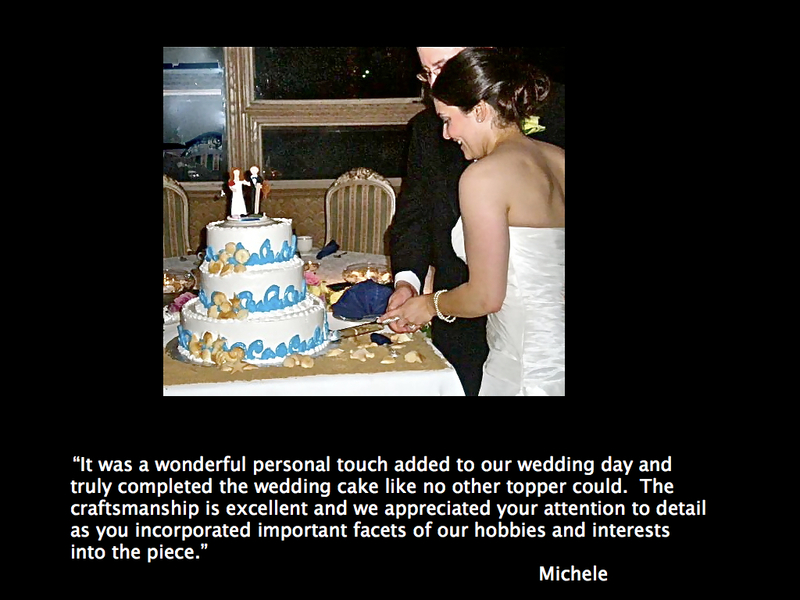 The captions alongside are the hand-written responses from the bride, groom, or family members. 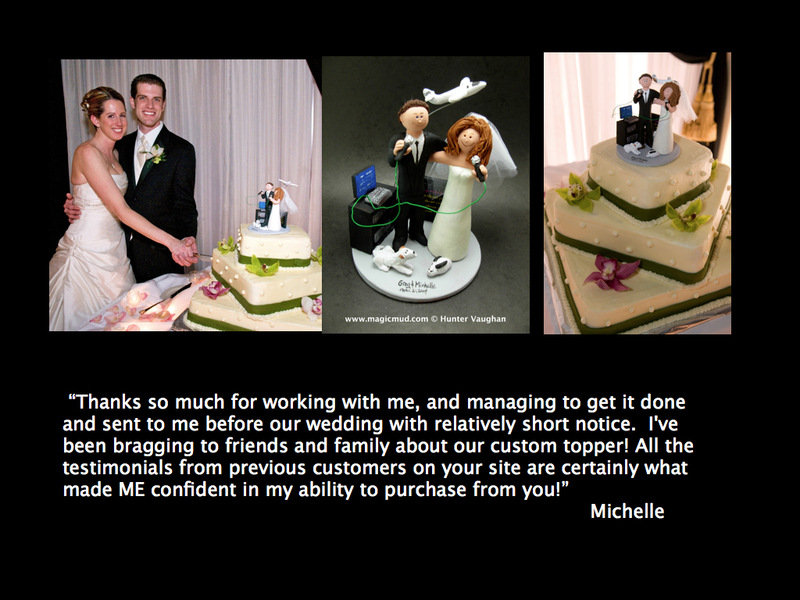 We'd like to thank each and every client for their kind words and patronage! 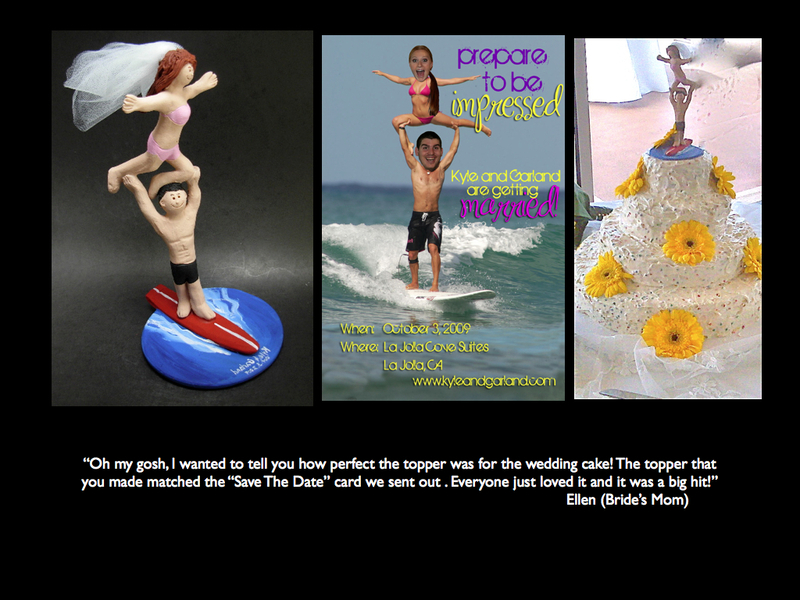 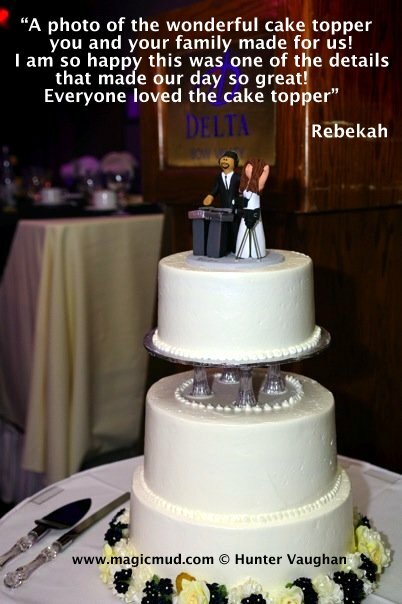 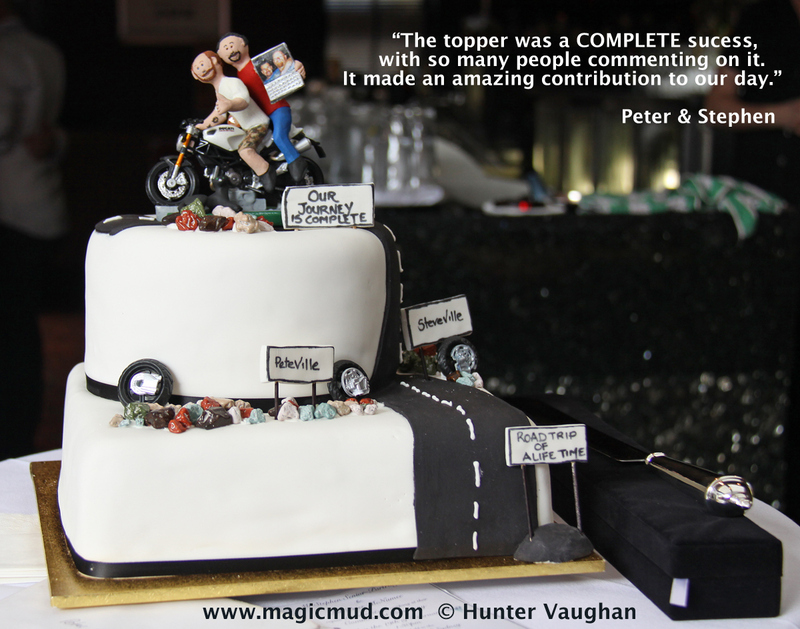 These Wedding Cake Toppers have been captioned with the exact word-for-word responses we received from the happy couples. 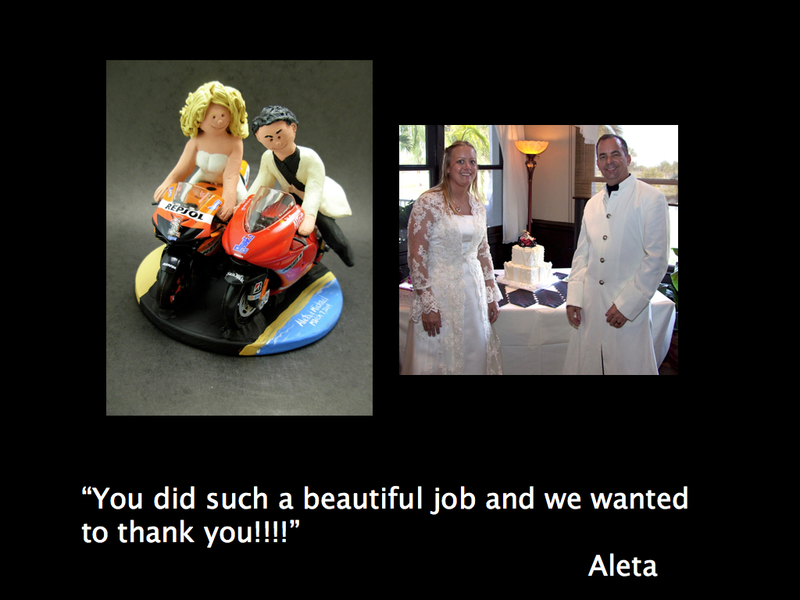 Nothing makes us happier than having happy clients! 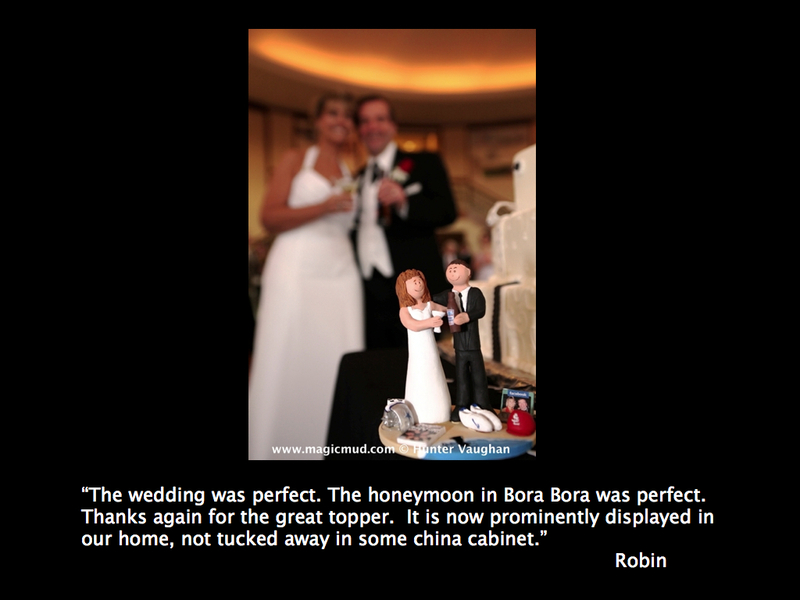 Simply click on any photo for a closer look.